Posted August 6, 2014 to engagement session , pre-wedding by: Leo Dj. Shannon and Brendan attended Christopher Newport University together and shared many of the same friends, but did not meet each other until they were introduced by a mutual friend during their senior year in the fall of 2011. Brendan and Shannon’s first date was at a fancy restaurant in Williamsburg, where they spent the entire time getting to know one another and discovered that they had a lot in common. It was the best first date ever for both of them, a beginning to many more. Brendan proposed to Shannon two days after Christmas. She walked into their apartment and found a picture of the the couple with the words “Marry me Shannon”, a dozen roses and an engagement ring sitting on the counter. And the surprise continued, as described by Shannon, “After walking through the door and seeing this lovely set-up, I turned to see my best friend and brother recording this beautiful moment. Turning my attention back to Brendan, he was down on one knee, asking if I would marry him. After I said yes, and all the hugging and kissing was over, we decided to go out for a celebratory brunch. We walked to a nearby restaurant, and when we entered, my entire family and his entire family were sitting at a table waiting with champagne to celebrate with us! It was such a special day in our lives, and we were so thankful to have everyone there to be a part of it with us.” It was a very memorable day for both of them, and the engagement photo session just showed how special indeed they were made for each other. 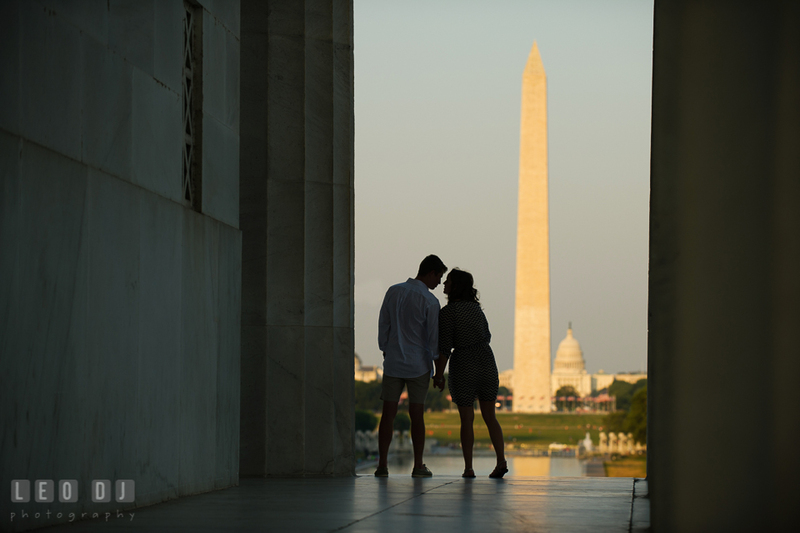 Shannon and Brendan chose Lincoln Memorial for their engagement photography session. To both, DC is very special, not to mention that the memorial is one of the most iconic buildings in the city. As such, Shannon and Brendan were truly radiant throughout the photo session. Posted August 6, 2014	to engagement session , pre-wedding	by: Leo Dj. Posted July 23, 2014 to wedding by: Leo Dj. Jorge and Nikole met in 2009 at Fortis College where they worked together for 2 years. After several unfruitful attempts to get Nikole into a date, Jorge organized a skiing trip for the whole office but unbeknownst to Nikole, everyone canceled. Jorge and Nikole were the only persons in attendance. It was Nikole’s first time skiing so she was a little nervous and she fell. Jorge offered to carry her down the slope and at that moment Nikole knew that he was the one. They started dating in early 2010. Jorge proposed to Nikole on Christmas morning of 2012 in an intimate and romantic moment. He wrapped the ring box in a bigger box to throw her off. She unwrapped one box only to have to unwrap another lovely surprise. For their wedding, Jorge and Nikole chose 2941 Restaurant because of the exquisite cuisine and services, and the ambiance of waterfalls reminded them of Costa Rica where they were going to honeymoon. Posted July 23, 2014	to wedding	by: Leo Dj. Posted July 9, 2014 to wedding by: Leo Dj. Ashley and Mike had actually known each other since their preschool time back in Christ Church. They met again in high school and started dating in 2007 during their junior year till throughout college. Since both of them went to different universities – Mike attended University of Maryland while Ashley went to Salisbury University – they went through long distance relationship for quite a while. At the start of their careers, they lived in their college town for two years. Mike proposed to Ashley in May 2013 at the dock of Kent Island Yacht Club, where they later had their engagement photo sessions, right among scenic water and boating sites which they loved so much. 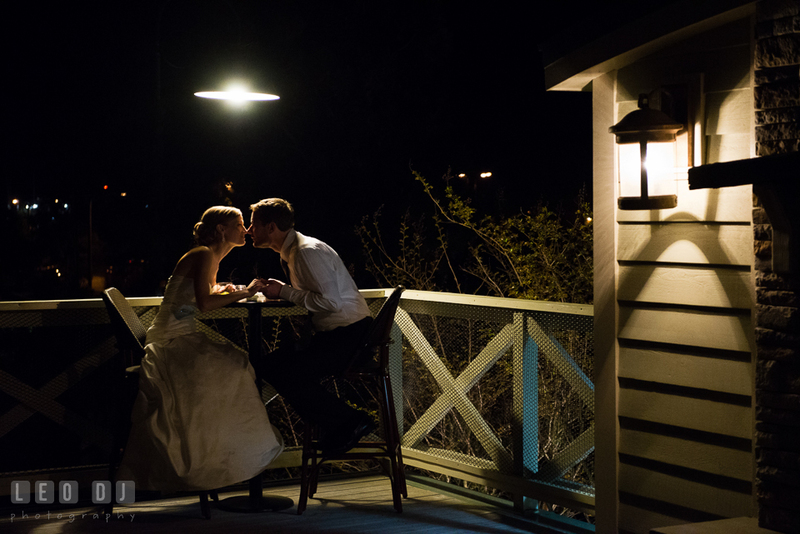 As for their wedding ceremony and reception, Ashley and Mike chose The Houghton House at the Aspen Wye River Conference Centers. It was the perfect choice, added even more because of the beautiful gardens and surroundings. In every wedding, there are always those special images captured during the occasion. 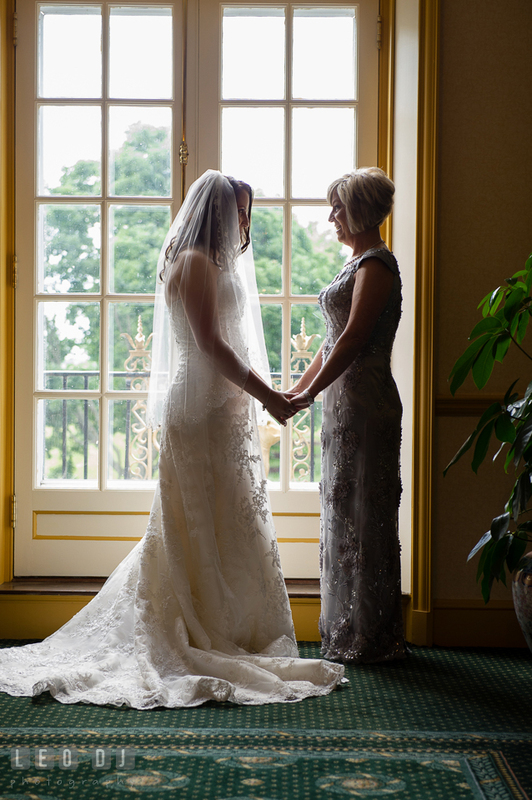 I loved having the chance to engage this private moments between the Mother of the Bride and her daughter before Ashley walked down the aisle. Posted July 9, 2014	to wedding	by: Leo Dj. Posted July 1, 2014 to wedding by: Leo Dj. 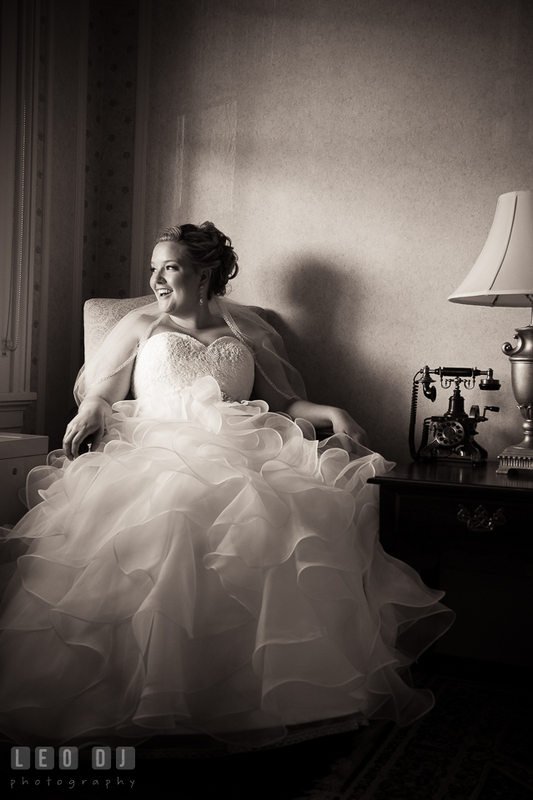 After the beautiful wedding ceremony at the Historic Kent Manor Inn, Laura and Kevin continued with their fun-filled wedding reception at Kent Manor Inn. Some tender moments ensued during the dance between the Father of the Bride and Laura, also when Kevin danced with the Mother of the Bride. But the rest of the evening was simply superb, fun and memorable. Posted July 1, 2014	to wedding	by: Leo Dj. Posted June 25, 2014 to wedding by: Leo Dj. I have previously covered Laura and Kevin’s engagement session near Chestertown, Maryland, therefore it’s a privilege for me to finally feature their wedding photos. If you have not followed the story on how these two met, you should definitely check out their pre-wedding photo session where they used their favorite football team apparels, the Redskins. Laura and Kevin wanted to get married on the waterfront, and both favored the idea of an outdoor ceremony. When they found Kent Manor, it was a no-brainer. The grounds are beautifully and meticulously attended to, completed with the perfect view by The Garden House. They were so thrilled with the way everything turned out! Posted June 25, 2014	to wedding	by: Leo Dj. Posted June 17, 2014 to wedding by: Leo Dj. After the super adorable engagement photo session in downtown Annapolis and Eastport, I am so excited to finally be able to feature Shannon and Matt’s beautiful wedding at the Chesapeake Bay Environmental Center. Matt and Shannon wanted an outdoor wedding surrounded by the beauty of the Chesapeake Bay, followed by a unique reception in a venue styled with the Bride and Groom’s personal touch-ups. This place was the perfect choice for them. It was on this gorgeous day, blessed with the perfect weather, that Shannon and Matt began their lifetime journey together. Posted June 17, 2014	to wedding	by: Leo Dj. The shot at the lake with the golden sun is amazing… Looks so magical! Posted June 3, 2014 to wedding by: Leo Dj. Bryan and Anita met in graduate school when both were getting their MBAs at the University of Maryland. They became good friends and class team partners, and their bond developed into romantic chemistry. Bryan then asked Anita out on a date and they started solidifying their strong connection. They have a lot of similar interests, from movies, books, and trivia, to challenging each other to try new things. Bryan proposed to Anita on Thanksgiving Day in 2013 in front of many of her family members. It was an intimate and romantic moment, and they remain most thankful for each other. 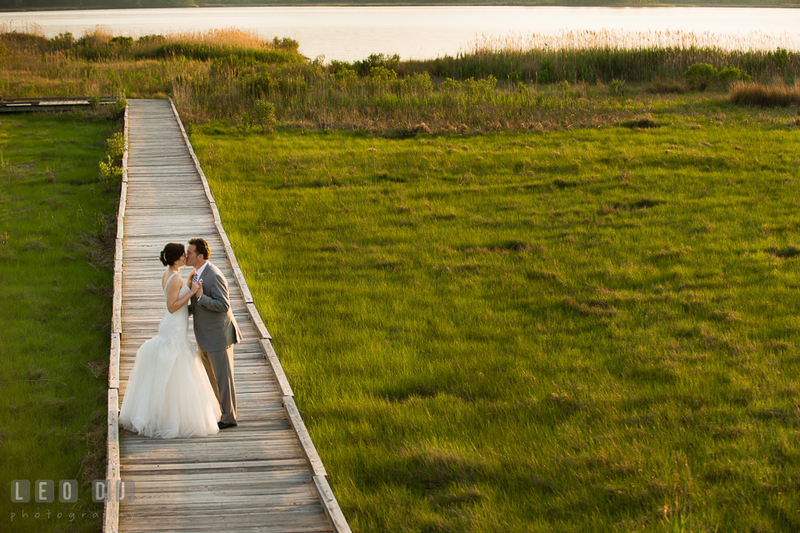 They decided to tie the knot the following year and chosen Aspen Wye River Conference Centers, a serene and secluded waterfront wedding venue in the Eastern Shore Maryland, for their ceremony and reception. 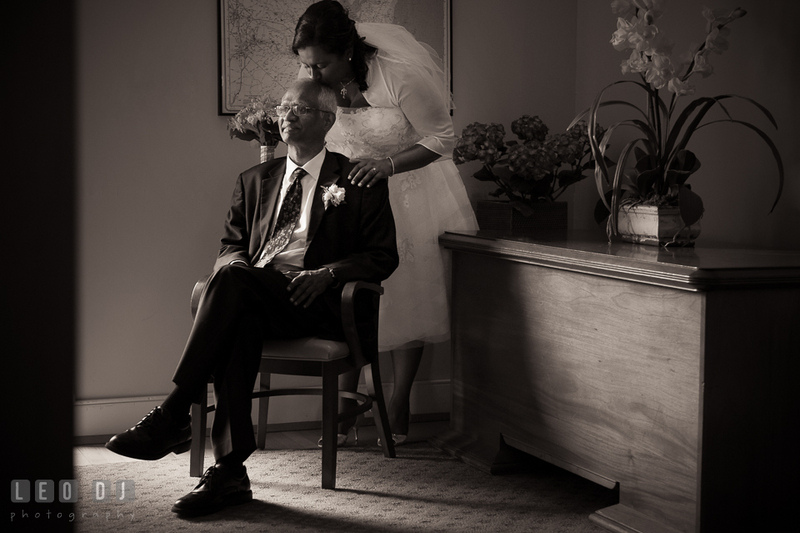 I love this picture of Anita, embracing her last moments together with her father before he walked her down the aisle. Posted June 3, 2014	to wedding	by: Leo Dj. Thank you for sharing especially since we are miles away in Bangalore,now we can ‘see’, Anita looks beautiful and both , so radiantly happy.and our Jamai Babu(endearing Bengali term for son-in-law of the family) Bryan looks handsome ….both in his uniform, with all those medals and in traditional Indian attire. The first one… Wow! Touching moment! Posted May 28, 2014 to wedding by: Leo Dj. Ryan caught Larona’s eye on the eve of 2009. She made a point to get his attention that night, and she has kept it ever since. They were engaged on December 31st, 2012 when Ryan proposed to Larona atop of Mount Tremblant during a snowboarding trip. This was one of many adventures they had been on together around the world, and they are sure to have many more to come. To celebrate their big day with their friends and families, they decided that Chesapeake Bay Beach Club would be the perfect waterfront venue for their wedding. Posted May 28, 2014	to wedding	by: Leo Dj. The first one is full of love and magic. Amazing photos! I do, I do! with crayons… Wow! Posted May 20, 2014 to engagement session , pre-wedding by: Leo Dj. Their first date was one of the hottest days of the year. The air conditioning in Seth’s car had just broken, and Becca was sitting at the wrong restaurant … all while the Derecho of 2012 hit Baltimore. Driving through hurricane-force winds, Becca eventually found the right restaurant. It seemed like an ill-fated start. But somehow, while more than a million people lost their electricity during the storm, Seth and Becca found theirs. Five hours (and lots of sushi!) later, they both felt connections that had them questioning their sanity – had they finally found “the one”? They then decided to do an engagement session before their upcoming wedding later this year. 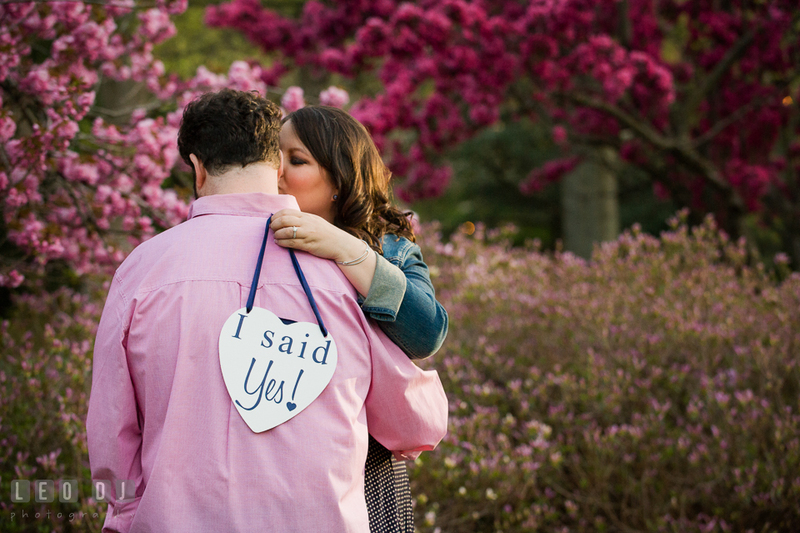 For their engagement session, they decided bring Riley and have the session done at Sherwood Gardens, Baltimore, which at certain time in Spring the garden would display about 80,000 tulips with variety of colors and shapes! Posted May 20, 2014	to engagement session , pre-wedding	by: Leo Dj. Posted May 13, 2014 to wedding by: Leo Dj. Jason and Laura met on May 15, 2010 when they were celebrating the birthdays of mutual friends in Dewey Beach, DE. With both being lacrosse players, Ravens fans, country music lovers, and drivers of silver Honda Accords, they had an immediate connection! The very next weekend, Jason came to Wilmington, DE where Laura was living and they had their first date at the local zoo. In November 2012, Jason and Laura traveled to Luray, VA to spend a relaxing, romantic weekend away. The first night of the trip, Jason and Laura were relaxing and sharing a bottle of local Luray wine around a campfire Jason had built. Jason then made an excuse to get a few more pieces of firewood from the stack, but he came back without any firewood! Instead, he came back with a box, got down on one knee, and asked Laura to marry him! This sweet couple spent the rest of their trip celebrating their special moment in time by enjoying the beautiful Shenandoah National Park and local wineries. Finally the time came for their big day! For their wedding, Jason and Laura decided to have their wedding ceremony at the Calvary United Methodist Church, Annapolis, and the reception at Historic Inns of Annapolis, Governor Calvert House. 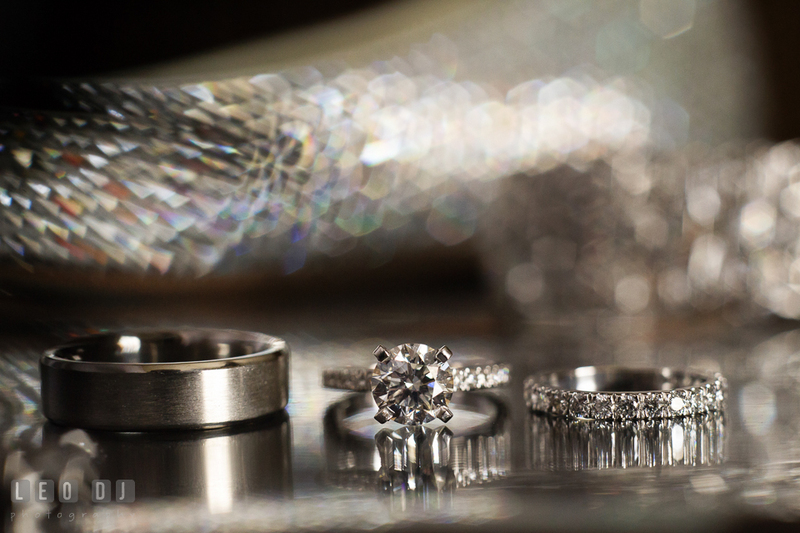 Their wedding bands and engagement ring were beautiful and matching in their tones. Posted May 13, 2014	to wedding	by: Leo Dj.